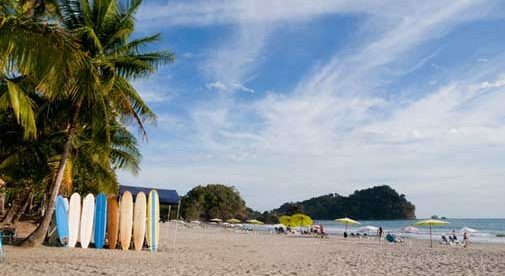 I moved to Costa Rica for retirement in 2008 and have been living on the south central Pacific Coast in the town of Quepos ever since. When I moved here I had 36 years of home ownership and 50 years of car ownership under my seat belt. I had lived in five states—Massachusetts, Delaware, twice in Pennsylvania, Ohio, and lastly Florida for 10 years. I also lived for two-and-a-half years in Europe. My instincts as an American moving to a new place were typical—buy a new place to live in and a new car to get around in. What I found out about Costa Rica was that I didn’t have to do either. Remember, 2008 was probably the worst time to relocate from the States to anywhere because the U.S. was in the worst financial crisis of our modern history and property values had plummeted. I was lucky to escape the property I owned in Florida on a break-even basis and I realized that starting over once more would require a high debt/equity ratio due to my limited funds to supply equity. The first two months I lived in Quepos I shared an apartment with a friend I had met on earlier trips. Then I moved into an air-conditioned apartment I heard about from experienced expats over at a popular sports bar in Quepos. I am still in the same apartment today. The owners have virtually become my Costa Rican family. I’m three to five blocks from four of the six major grocery stores in the town, and the same distance from all the services I need—banks, shops, hardware stores, and several restaurants). My fixed costs—including rent, telephone, electric, cable, and internet—are less than $400 per month. I’m able to live on my U.S. Social Security and I bank a small pension from an earlier job. The money saved from not owning a house has financed a number of trips all over Costa Rica and several other Latin American countries including Nicaragua, Panama, Colombia, and Argentina. Life is simple and sweet and I have a degree of freedom here that I’ve never before experienced. Because of the area’s popularity, there is always a broad range of rental properties available to the new expat that range from budget to luxury. I personally fall into the budget category with a small, efficiency apartment consisting of a large, fully equipped kitchen, a large bedroom, and a bathroom—$300 per month. In the mid-range area, an expat friend of mine recently rented a brand-new property in a Costa Rican community on the outskirts of Quepos for $500 per month—two-bedrooms, fully equipped kitchen, living room, dining area, and porch. A larger, two-bedroom, two-bathroom condo in a secluded area with access to tennis courts and a health club would rent for $1,200 to $1,500 per month. And there are endless variations on these descriptions to suit your taste. While I realize everyone is different, I recommend to every person moving to a new country to rent for the first year—be it a home or an apartment. That will give you time to better understand living and dealing with the peculiarities of your adopted land and the intricacies and obligations required of an investment there. It also gives you flexibility to relocate either within the country or to another one at the end of the year if you so decide. Too many people think that moving to another country is like moving to another state in the U.S., or another province in Canada. Why not keep your investment options open until you’ve had a chance to learn the ins and outs of daily living in a foreign land and feel comfortable? Once you’ve decided what lifestyle is best for you, I can assure you that you will find an extensive offering of reasonably priced properties for rent or purchase in the south central Pacific Coast of Costa Rica as well as access to a dizzying array of things to do from whale-watching and mountain climbing to jungle adventures.